I’ve been a proponent of Wolf’s Ridge Brewing for some time, especially since Chris Davison came on board as head brewer last fall. So I was excited when news came out earlier this week that they are going to have their first bottle release later this month. Not just any beer mind you, but one of their biggest beers, Dire Wolf Russian Imperial Stout, Gold Medal winner at this year’s San Diego International Beer Festival. The Dire Wolf bottle release will take place on Saturday, June 27 starting at 10 am in the tap room. Bottles of Dire Wolf will be selling for $8. They will also be offering two special variants, Dire Wolf One Line, infused with coffee from Columbus’ own One Line Coffee, and Dire Wolf Canis Mexicanus, infused with chili peppers, vanilla, coffee, cinnamon, and cocoa nibs. The variants will be selling for $10 per bottle. 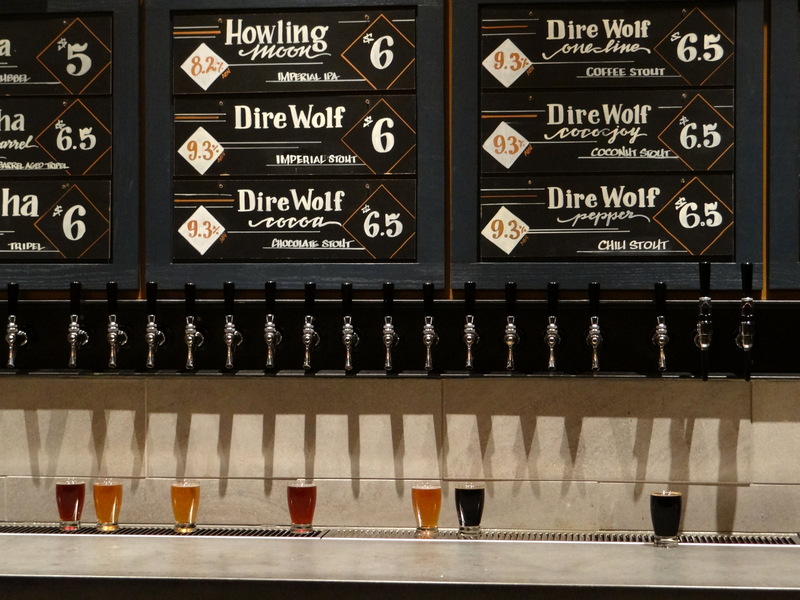 There is a limit of two bottles of each type of Dire Wolf per customer. They will also be having live music in the tap room, which should make for a great atmosphere in the tap room. Wolf’s Ridge will also be offering a Father’s Day gift package that includes a $25 WRB Gift Card, a logo glass, and a bottle of Dire Wolf (regular not variations). The entire package is selling for $32 and they are available for purchase online (http://www.wolfsridgebrewing.com/new-products/wrb-experience-package-fathers-day-gift-1). This is the only way to order a bottle of Dire Wolf prior to its release. My kids are pretty much oblivious to my blog (not to mention under age), so a little self gifting might be in order.